Accepting back-up offers. Extraordinary, eclectic one-of-a- kind contemporary on quiet cul-de-sac. 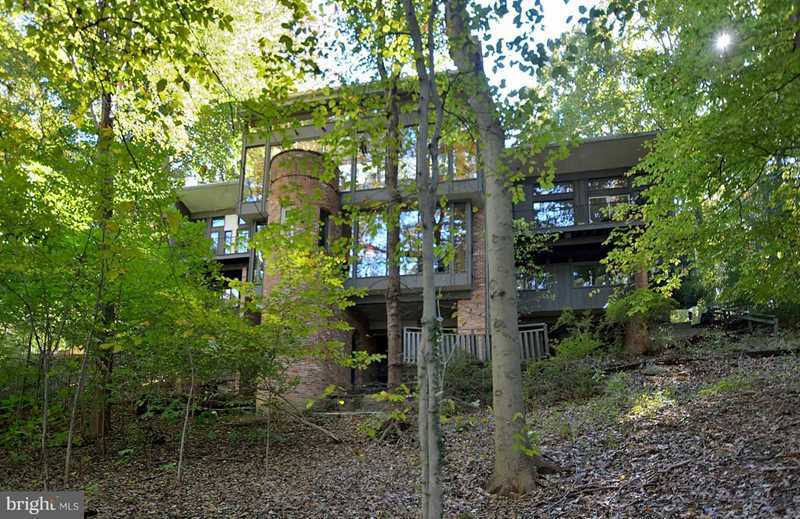 Abundant light from skylights & multi-level walls of glass overlooking woods. Privacy galore. Flexible floor plan w. 4 fireplaces, high ceilings. Superior interior and exterior design adaptable to formal and informal entertaining. Although the facade is subtle you will be amazed the moment you enter. This is a contemporary masterpiece extraordinaire! Walt Whitman HS pyramid. Directions:WEST ON MASS AVE. BEFORE GOLDSBORO, TURN LEFT ON BENT BRANCH, RIGHT ON BUTTONWOOD LANE. HS AT END OF CUL-DE-SAC. SIGN ON PROPERTY. SchoolsClick map icons below to view information for schools near 4 Buttonwood Ln Bethesda, MD 20816.